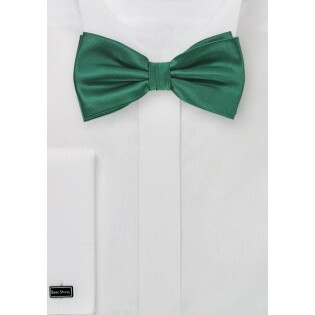 Looking for a formal menswear accessory to wear in the Autumn season? 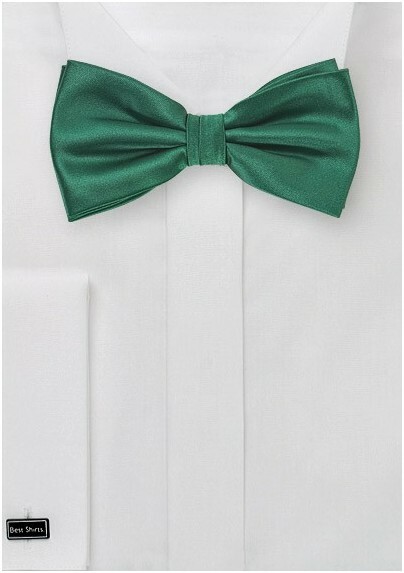 Then this shiny hunter green bow tie should be towards the top of your list. Because it is solid in color, it pairs superbly with any striped, plaid, or check shirt. Our tip: Pair this bow tie with a blue and white micro check shirt, a navy herringbone blazer, gray flannel pants, and a pair of brown penny loafers. Made from microfiber fabric.